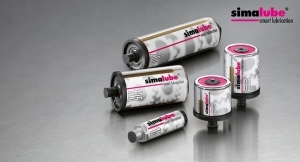 MotionSource International, a leading hydraulic and lubrication manufacturing and distribution company in Solon, OH, has announced it has become the exclusive industrial lubrication distributor for simatec’s simalube® line of single-point automatic lubricators. With US facilities in Wisconsin and North Carolina, simatec inc. is a family-owned, industry-leading innovator that is headquartered in Wangen an der Aare, in the heart of Switzerland. They have produced high-performance lubrication and machinery maintenance products for over 30 years.